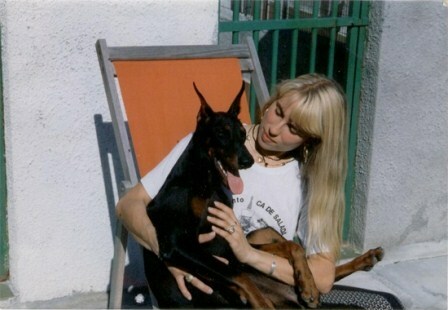 I'm Monica Oliva, since I was young i had a very strong passion for dogs .In 1997, finally I managed to fulfill my great dream .. have a Dobermann! I bought at the Breeding of Montaldo di Genova (to which I have my heartfelt thanks for the help in those years) and from that dog of 5 months(Nora del Montaldo said Cariddi) the passion was born. The love for this wonderful breed brought me closer to the dog training and to exposure of beauty. Unfortunately, the premature death of my Cariddi at only 4 years not allow me to be able to have in the house with her daughters. sociable but always careful and vigilant.